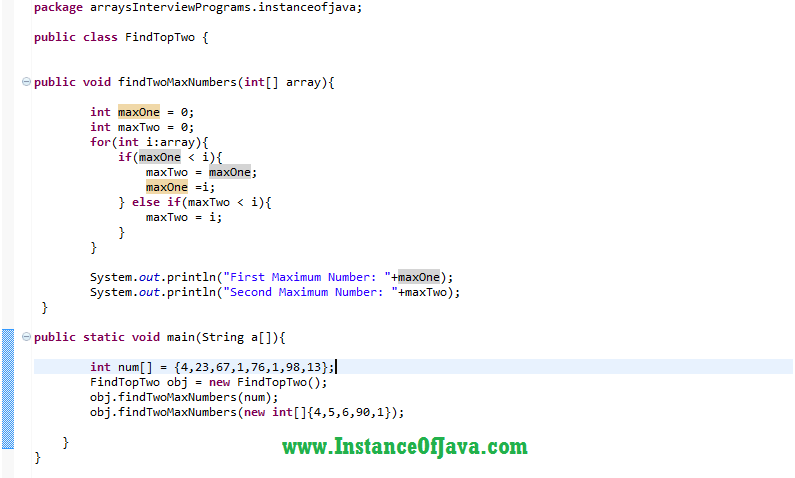 Hi Friends today we will discuss about how to find top two maximum numbers in an array using java program. Initially take two variables to find top to numbers and assign to zero. And assign maxone to maxtwo because maxtwo should be second highest. After completion of all iterations maxone will have top value and maxtwo will have second maximum value. Print first maximum and second maximum values. So from main method create array and pass to findTwoMaxNumbers(int  ar).